A pilot scheme offering diners branded "doggy bags" in a bid to cut waste is to be extended across Scotland. 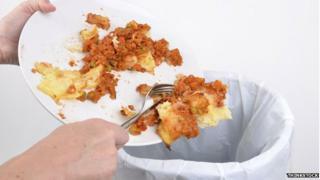 The 16 restaurants participating in Zero Waste Scotland's Good to Go trial saw "dramatic reductions" in food waste from customers' plates. Zero Waste said 92% of diners surveyed who took food home ate it later. It estimated that if restaurants across Scotland routinely offered doggy bags it could save the equivalent of 800,000 full meals going in the bin every year. Announcing the extension of the scheme, Environment Secretary Richard Lochhead urged eateries across the country to sign up for Good to Go. Mr Lochhead said: "Scotland produces some of the best food and drink to be found anywhere in the world, and it is a crying shame that one in six meals served in restaurants is currently being thrown away - a waste of food and a waste of money. "Doggy bags are a great way to prevent waste and give diners better value for money, and I am absolutely delighted that Good to Go is now being rolled out across the country after the success of the pilot scheme. "As we work towards achieving our zero waste ambitions and Scotland becoming a Good Food Nation, I encourage as many catering and food businesses as possible to sign up." Ylva Haglund, from Zero Waste Scotland, said: "Our research showed that three-quarters of people wanted to see doggy bags offered in restaurants but half were too embarrassed to ask for them. "The fact that so many people during the pilot with leftover food used the Good to Go boxes shows that if you make it a normal thing to do, people will take food home." The Good to Go pilot scheme ran in 16 restaurants in Glasgow, Edinburgh, Irvine and East Kilbride. Any restaurant interested in joining the extended scheme will receive a starter pack of Good to Go boxes, guidance and promotional materials. It is estimated that more than £1bn of avoidable household food and drink waste is thrown away in Scotland each year - an average of £470 per household.